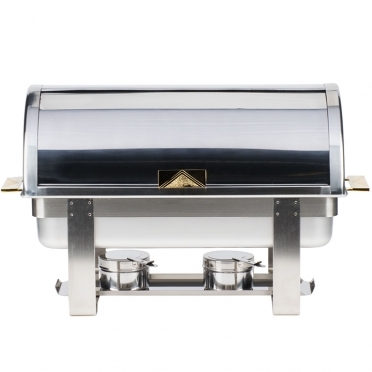 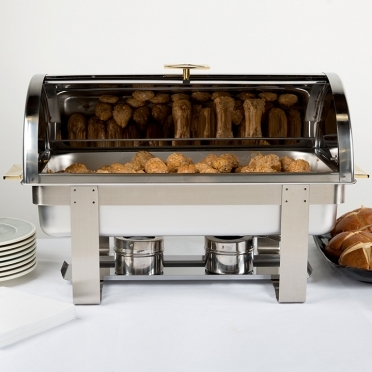 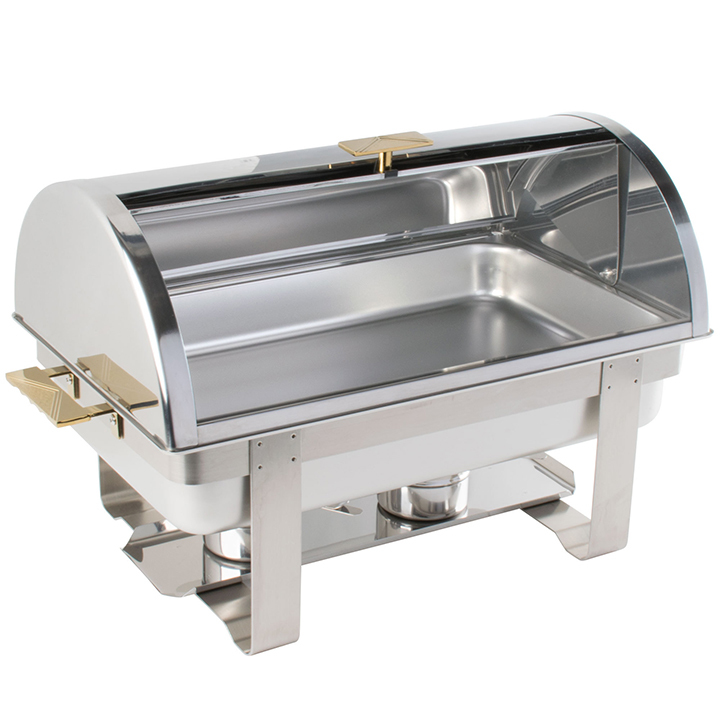 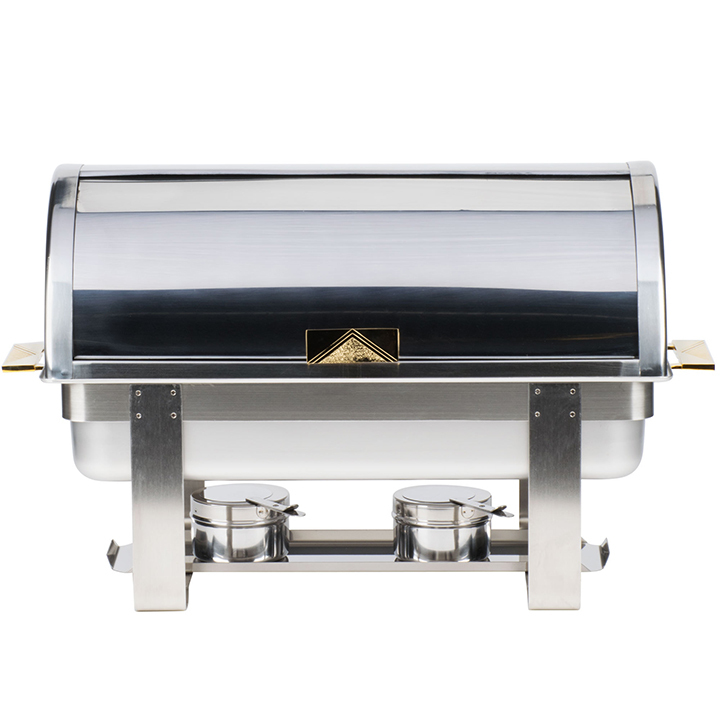 To bring a contemporary feel to your buffet table, consider this stainless chafer. 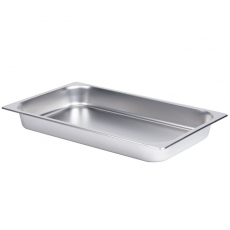 The large size will hold a generous amount of appetizers so that you will be able to serve a crowd without the need to frequently refill the insert pan. The roll-up deign is smart and convenient. 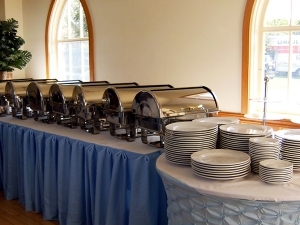 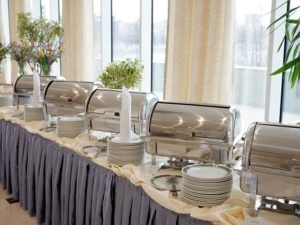 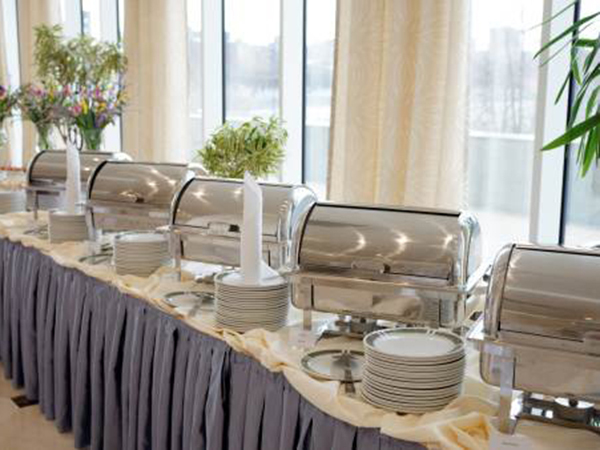 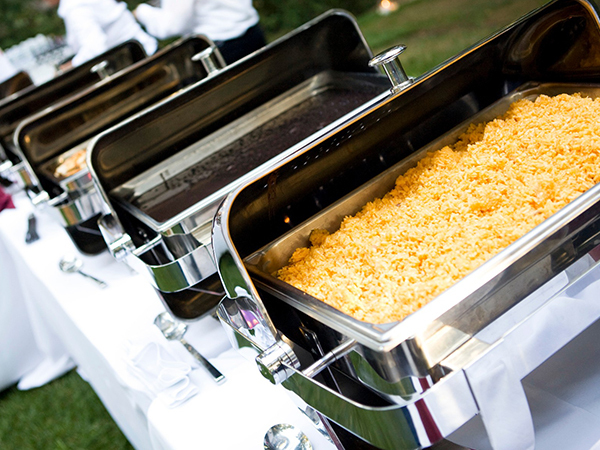 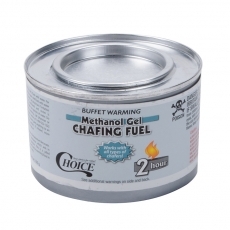 Guests can simply roll open the chafer and never have to worry about where to set the lid. 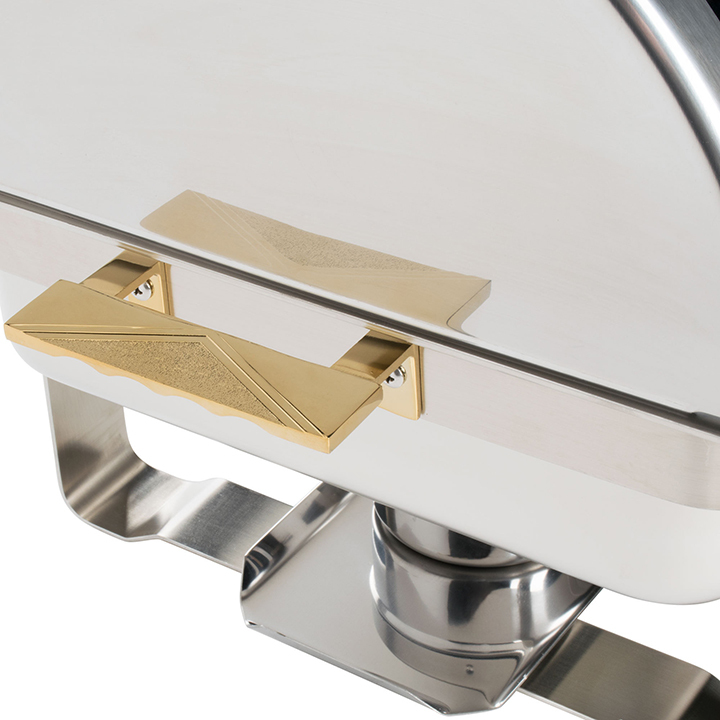 The gold-tone handles and mirror-finish will bring an elegant look to your decor as well.